This year, traditional Easter festivities at CottoCrudo restaurant at Four Seasons Hotel Prague happen on Sunday, April 16, 2017. 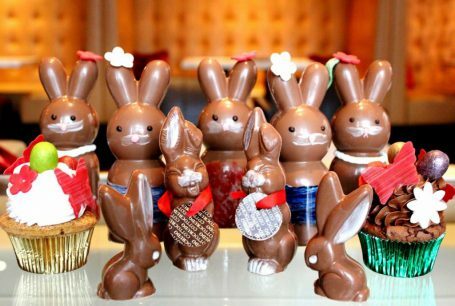 From 12:30 to 3:30 pm, CottoCrudo will host its popular Easter brunch, with a varied program for all guests. Executive Chef Leonardo Di Clemente and his team will prepare a wide range of delicacies, including traditional dishes with an Italian flair. The afternoon will be topped with Easterthemed activities for children. The festive brunch will offer specialties including a mozzarella, fish and seafood bar; cold cuts and cheese cellar; and a salad corner. In addition, this year there will also be live cooking stations where chefs will prepare a selection of dishes in front of guests, such as risotto, pasta, meats, and other delicacies. Desserts and a children’s buffet will complete the offer. Guests will enjoy an afternoon full of fun and festive games such as an Easter egg hunt and special hand painting of the Easter eggs called Kraslice. Easter brunch is priced at CZK 1,690 per person, complimentary for kids under the age of six, CZK 990 for kids from six to twelve years.